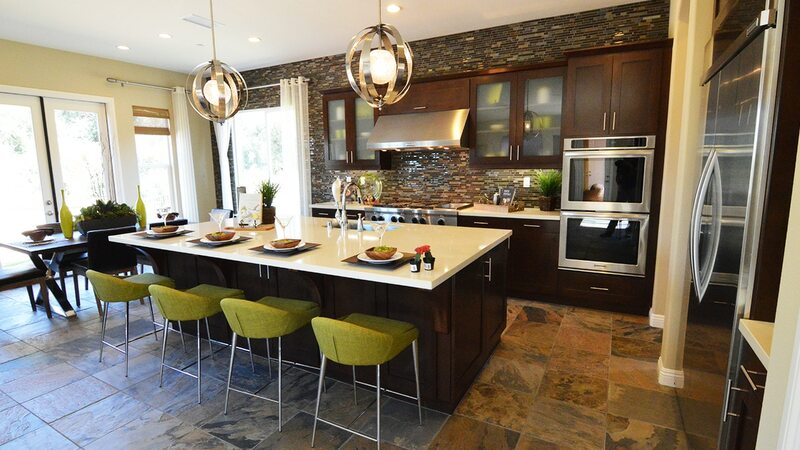 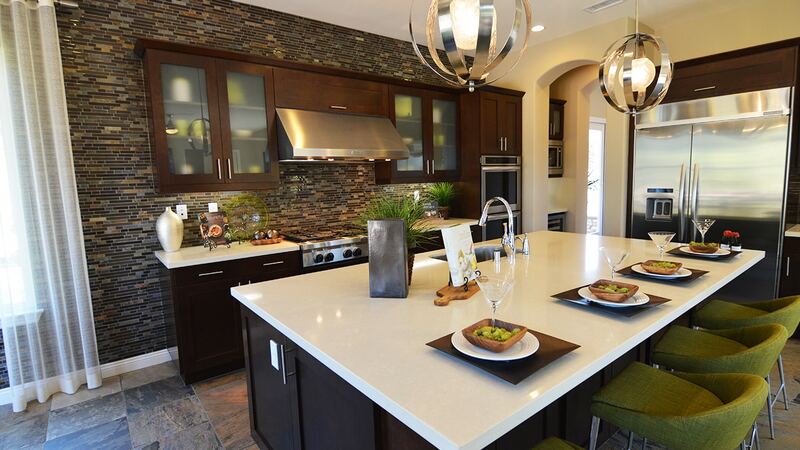 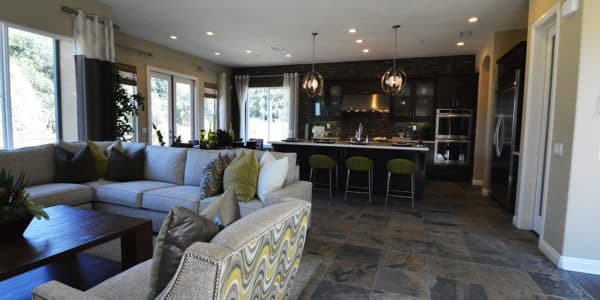 This newly constructed home tucked in the hills of Claremont, Ca has a very crisp design. 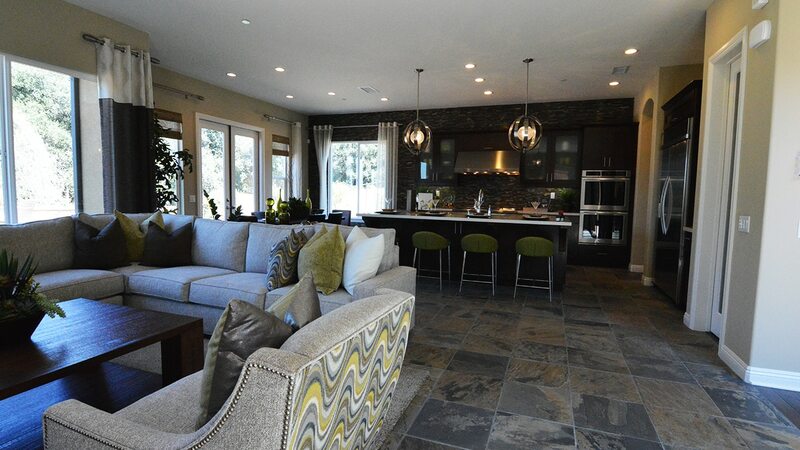 In the kitchen you find a porcelain tile floor that looks like slate. 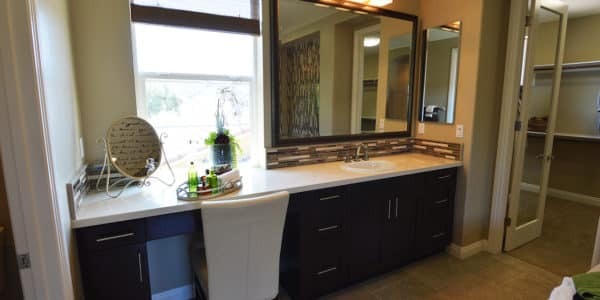 The cabinets are espresso stained and the door style is of a shaker design. 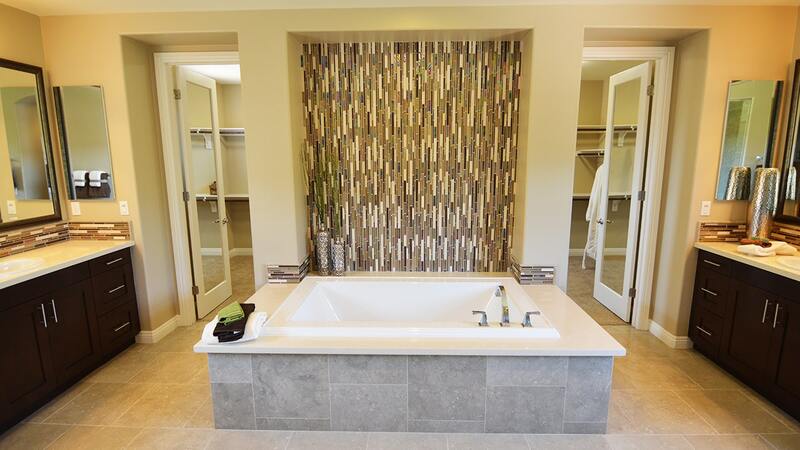 White quartz countertops and a full wall of glass mosaic. 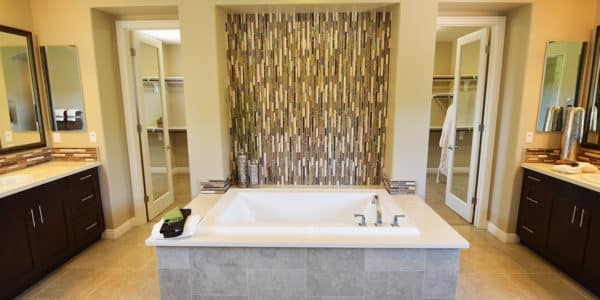 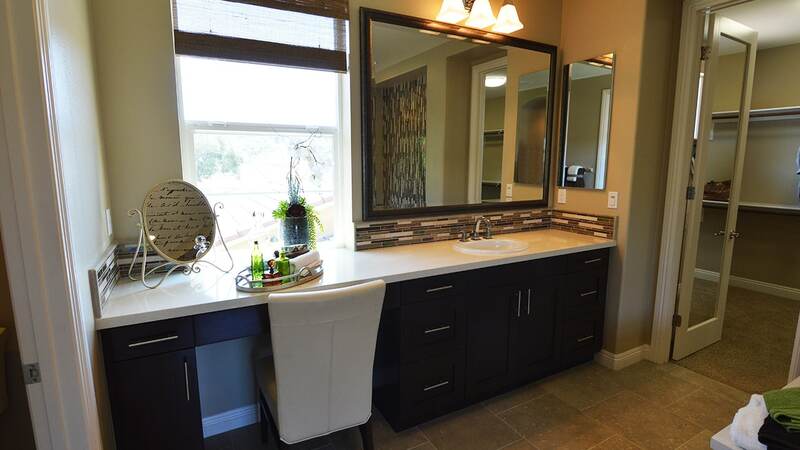 The master bathroom is outfitted with limestone tiles and glass and stone mosaic accents. 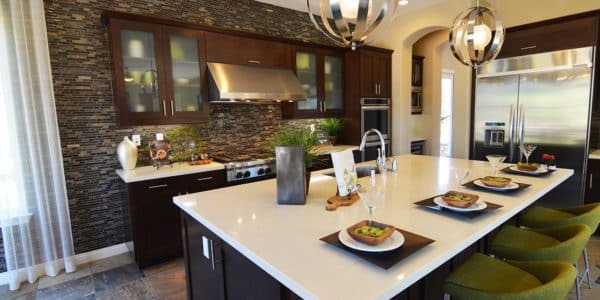 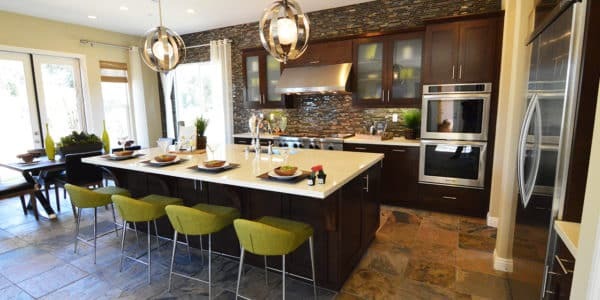 The cabinets are espresso with white quartz countertops and the same glass and stone mosaic as a splash for continuity.